It is as if Alexandra Palmer has made the impossible possible; she delivers still one more tome that examines Christian Dior: both Maison Christian Dior and the designer Christian Dior. 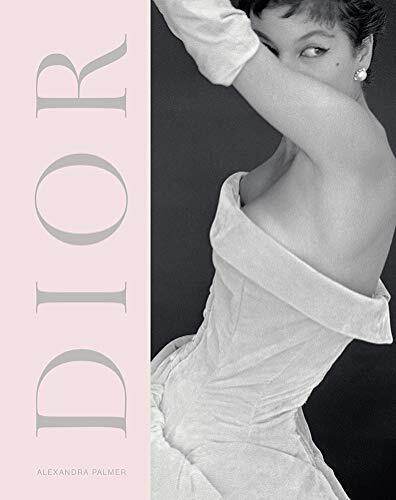 What is most fascinating is that she has found a way to attack the subject from a different vantage point and offer even more context and exploration of the now seemingly endless aspects of all things Dior. Dior: A New Look, A New Enterprise allows the reader to know so much more of what lays beneath the façade of both the designer and eponymous brand. The best part of the book is that the author offers facts, perspectives, and background that, to one’s memory, have not been previously exposed in the laundry list of monographs that have preceded this one. Palmer’s book then takes it a step further to offer some of the most meticulously annotated text ever presented on the subject. It might sound like a dry read, but it is so much more in every way—especially that this is not a book full of regurgitated Wikipedia facts. This is not a coffee table book and not a high gloss photo album of Dior’s past but a history of how the Dior empire evolved and was created. “We were given a polished theatrical performance such as we had never seen in a couture house before. We were witness to a revolution in fashion and to a revolution in the showing of fashion as well,” says Bettina Ballard of Vogue. If you take this quote as simple fact and not hyperbole, the perceptive fashionphile can clearly draw a comparison to the career span of John Galliano at Maison Dior. His understanding of both brand and man, despite arriving almost four decades after the death of Monsieur Dior, and filling his shoes so well remains one of fashion’s greatest moments of passing the baton.